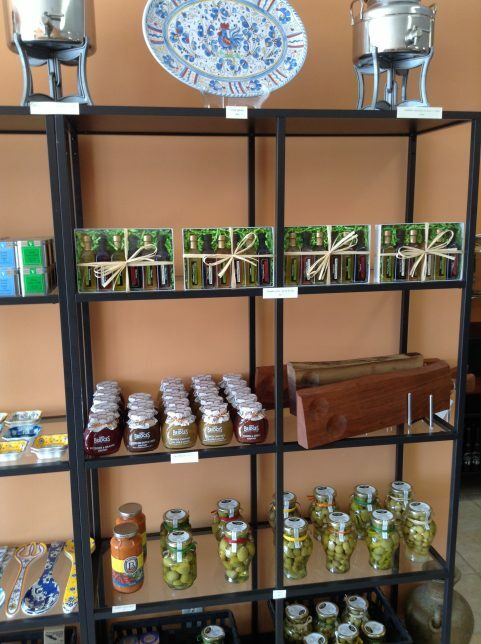 This week, we’re putting the spotlight on The Olive Oil Dispensary (TOOD), a Burlington-based retail store that specializes in olive oil and balsamic vinegars. One of the things we love about TOOD is that the individuals behind the company go out of their way to create a customer-friendly in-store environment that shoppers love. 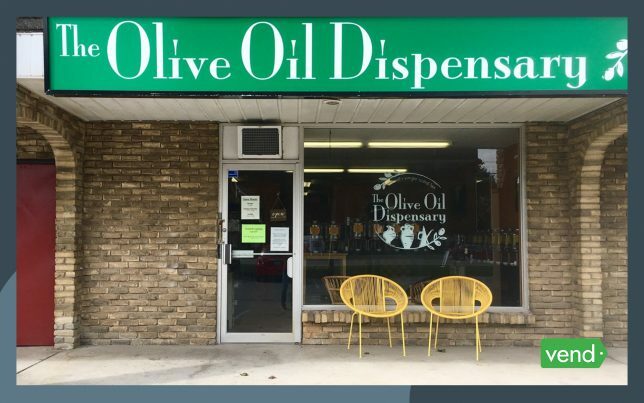 We caught up with the family that owns The Olive Oil Dispensary and asked them to share the story behind the business, as well as the ways that they keep shoppers coming back. 1. Tell us a bit about how The Olive Oil Dispensary got started. What’s the story behind the business? Our olive oils are sourced from around the world, including the Mediterranean, South Africa, Australia, California, and Latin America. Our balsamics are crafted in Modena, Italy. The main idea: you walk into our store, taste test at your leisure, and have your selections bottled on the spot. The concept of a store like this is fairly new in North America. About seven years ago, when we first encountered such a store, we were amazed. At first, you wonder how such a specialized shop could succeed… until you realize how versatile the products are: olive oil and vinegar are like salt and pepper, once you know how to use them! Dressing, dip, glaze, marinade, frying, baking…they make it so easy to add flavour (not to mention health benefits) to so many dishes. At first, the idea of owning an oil and vinegar shop was just something we’d talk about now and then, a vague plan to open a store someday, somewhere. Then, when life took us to Burlington, we realized there was no such store in the area. We took that as a sign and decided to give it a try. That was five years ago…and it turned out to be a great fit for the community. 2. What’s your local community like? Burlington is a friendly, laid-back place, where you always feel like you’re serving friends rather than anonymous customers. And the holiday spirit is strong here! All through December, we get merry folks (including some in Santa hats or reindeer antlers) picking up stocking stuffers. 3. What are the unique things about your store that customers love? How do you keep people coming back? The biggest deal about our store, in terms of being customer-friendly, is that you can taste test our oils and vinegars as much as you like before you buy anything. Product names and descriptions can only take you so far, and since we have dozens of products to choose from, it can be a little overwhelming. It’s so nice to have a store where customers can “test drive” to their hearts’ content! Another thing that makes our store a repeat destination is that oils and vinegars make such great gifts! Our gift bags are always popular for housewarmings, dinner parties, holidays… and we do wedding favours too. To keep gift-giving interesting, we have a few special items on the shelves, such as salts infused with truffle and other flavours. 4. How did you find Vend? 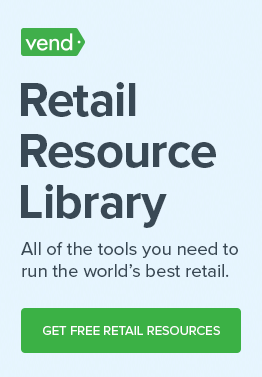 Would you recommend Vend to retailers like yourself? We found Vend a couple of years after we started up. Once your business is up and running, you naturally start examining the services you rely on, and checking around for possible alternatives. It turned out that Vend was the best fit for us: intuitive to use, with a clean web interface (which meant we could use it on a desktop computer, which was a requirement for us). We also value the offline mode (so an internet interruption doesn’t stop us processing sales) and the option to label product category buttons with images (for quick navigation during sales). 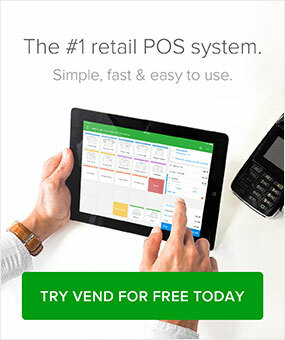 We would definitely recommend making Vend one of your top considerations when choosing a point of sale service. The first thing is: beware of scammers! As a small business, you will likely be contacted by fraudsters claiming to be government agencies, or claiming to offer services (like directory listings, POS, or payment processing), or pretending to be customers making unusually large orders. Never give sensitive details (account numbers, credit card numbers) to anyone who calls you, and conduct a search online for advice regarding anything that feels even slightly suspicious. Second, set up your business right away on Google My Business and Apple Maps, and be sure to keep them updated. Third, when considering any sort of investment (like a new product line or commercial service), check out the company’s website to see how friendly and professional it looks. It’s a good sign if the website is clean, well-organized, and emphasizes customer satisfaction. In addition to Vend, we found two other services that have great websites, and that we are very happy with: Hover (for domain registration) and Helcim (for payment processing). 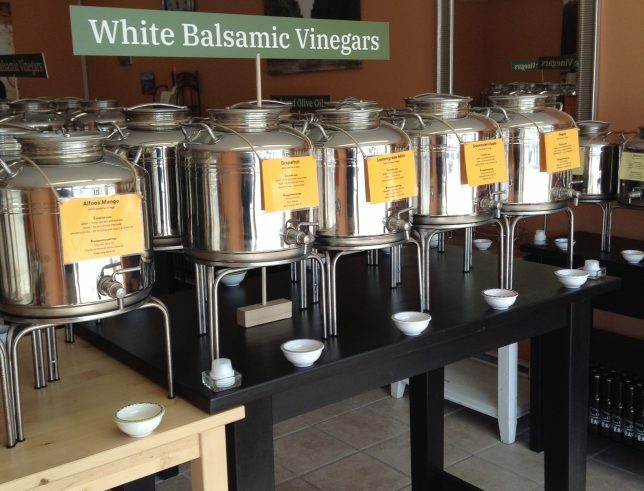 Finally, we’d just like to say: wherever you live, if there’s an oil and vinegar store nearby, go check it out!